You are here: Home / WKB projects / A new pizza adventure begins! Check out our first few pizza baking video’s below! We always agreed that once we have enough space, we will build a pizza oven in the garden. We realized this would be a big undertaking, involving a lot of work, money and time. So, at some point we also started to look at alternatives. Maybe something smaller, portable or moveable, but at the same time able to produce a great pizza of course. 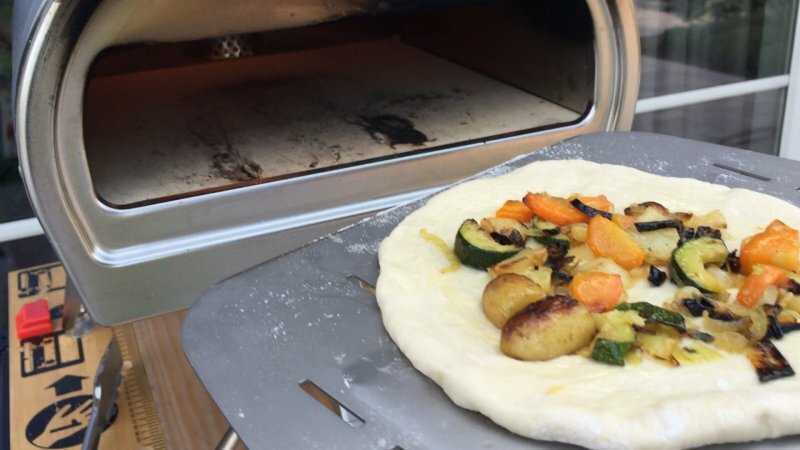 We found out there are several options when it comes to small outdoor pizza ovens. After some research we recently opted for the Gozney Roccbox*. We liked the design, the material and the choice to use it with gas or wood. 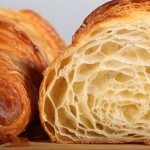 The testimonials of other bakers where favorable and the price was alright, and the offering complete, with the (very good quality) peel included. 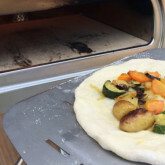 We have used the Roccbox four times now (only had it delivered just before the weekend) and we are having so much fun with the results and (unexpected) possibilities that we cannot wait for the next pizza baking session. We already baked several ‘Neapolitan style’ pizza’s and some pita bread and have had very promising results from bake one. We also roasted some veggies, which tasted great and could also again be used as pizza toppings. We are still playing with times and temperatures to see what we like best. So far we baked pizza’s for 90 seconds at around 425 C, but also for 2 minutes at around 400 C. We like a bit of charring but not too much, so we will test further till we hit the sweet spot. At the same time we are rethinking and testing our pizza dough. We will elaborate on this topic soon too. 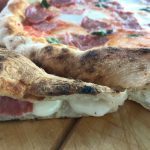 So for now we want to share with you our new outdoor, portable pizza oven and show the first results of our testing with a few short video’s. 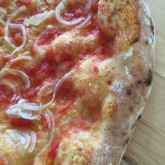 Update: We did some more baking and tasty testing and want to fill you in on our progress and experience with a new pizza dough recipe. Check out video’s and dough recipe here! * People who follow us will know that we are not ‘sponsored’ or ‘endorse’ by anyone or anything. We bought this Roccbox with our own money, full price. Nor, as you can see, is our website full of ads or generic articles. You will not catch us writing stuff we do not mean or telling you about experiences we did not have ourselves. So you can trust the honest and true accounts of our baking adventures! was de bodem ook gaar van de pizza na 90sec of hij heel dun!? Als je kijkt naar het deeg-recept dat wij gebruiken (zie: www.weekendbakery.com/posts…gh-recipe/) dan krijg je per pizza een deeg-hoeveelheid van ongeveer 240 gram. De pizza wordt uitgerold tot een cirkel van ongeveer 27 cm doorsnede. Gebakken op een temperatuur van gemiddeld 410 C wordt de pizza mooi gaar bij ons. Maar je kunt rustig experimenteren. Als je houdt van een iets dunnere bodem, meer knapper, dan kun je ook weer langer bakken op een wat lagere temperatuur en de pizza plat uitrollen met minder opstaande rand. 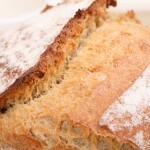 Hope you like this and the bread recipes we have to offer! Thanks for the useful article and glad you’re having fun with this oven! I have a question: how long do you need to wait between baking a pizza and the next ? I heard the oven needs time to go back to temperature. Many thanks ! Short answer: You can bake them as fast as you can make them! 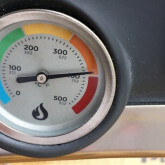 It depends on the season, wind and desired temperature, but we found, especially in summer, that the oven sooner gets a bit too hot than cools down too much (with our desired temperature of around 410 to 420 C). For instance, if it is hot and you turn it down to the lowest setting and leave it ans come back after 20 minutes, the temperature has even increased some 10 degrees. Mind you: This is our experience with our oven and fired on gas. Thank you Peter, that’s OK with us, no problem and thank you for your very kind words of course! Enjoy your pizza baking and eating! 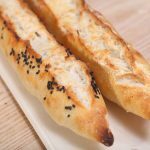 With our (limited) experience we would say (other than flatbread like pita and naan, so the quick breads) it would be a challenge to bake a loaf of bread in the Roccbox. First of all you cannot really control the temperature at a lower heath, because it is made to go beyond 300 and it really wants to go there. The chamber is too small for a bread and the bread will be too close to the flames. 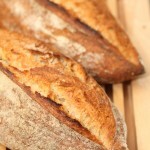 Normally, in a wood fired oven, you heat it up and then remove the fire and bake the loaf on the heat of the stone. But we expect the heat retention of the stone and the fact that the oven cannot be closed will also be a problem. But for pizza and flatbread, it does an excellent job for us! Just a quick note here. After I read your comment “Loving the first results with our new outdoor pizza oven. Trying hard not to eat pizza every day now…” I had to smile. My husband and I recently bought a home ice cream maker, the kind that cools with a compressor, and we feel exactly the same way! We’ve become very popular all of a sudden. Maybe a pizza oven is next. Can’t wait to hear more about your attempts and success. Love your comment! And we too make our own ice cream every now and then (all part of the ‘do it yourself and get something great’ hobby) but the challenge with us always is freezer space. And it is a good thing to be able to share, in more ways than one. Happy family, friends and neighbors and own calorie intake not getting out of hand! Enjoy your churning and the summer. Thank you for not spamming me, thank you for your honest and impartial reviews and recipes. You are a breath of fresh air on an internet where everything is monetized to death. Also: Pizza! What’s not to like? Keep up the good work. Thank you Colin, it makes us happy we can do things our way, without having to compromise or selling our souls, sharing with other bakers who are also genuinely interested and enthusiastic. 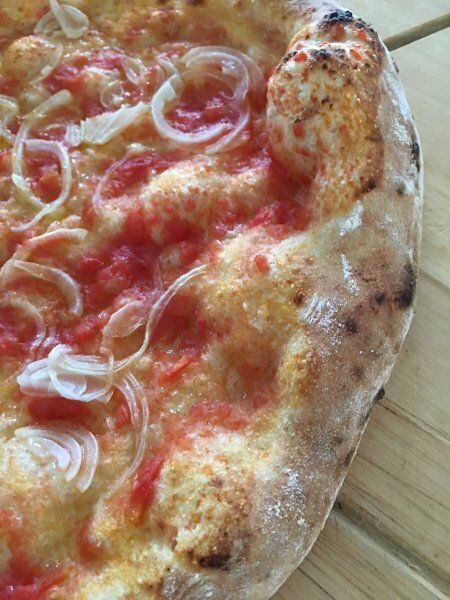 This weekend…more pizza baking of course! Leuk om te lezen, ik ben benieuwd naar het vervolg! Ik heb zelf een ‘indoor’ pizza-oventje van Ferrari die prima werkt, maar de oven waar jullie mee bezig zijn, is het echte werk natuurlijk! 525` Fahrenheit or 275`Celsius. Or 550`F. or 288`C. 8 to 12 minutes. Make sure you rotate your pizza 180` after 5 minutes. Keep an eye on the pizza after 10 minutes. Baking at high temperatures…things cook fast. You will need a pizza paddle. I always bake my pizza on a 16-inch Pizza Screen. They bake better. I’ve owned two Pizza parlors, (Businesses) in my life time. I’m retired now but I still cook/Bake on a round pizza screen. Go to a restaurant supply store & purchase a 16 inch round Pizza screen. You’ll be glad you did. You can bake smaller sizes on the screen. Good Luck on your Pizza adventures. J. F. So. CA. USA. I like Neopolitana style pizza. 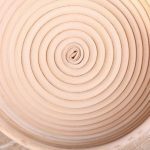 I use Tipo 00 flour to make my pizza dough. If the bottom of the pizza is not done or brown enough…use a pizza paddle and remove the pizza from the pizza screen and place it directly on the pizza stone or oven shelf. Additional…On browning the bottom of the piazza, in a (700`F) 370`C. oven…only leave the pizza on the pizza stone or oven shelf for 30 seconds.You have to watch it closely or BURN city. Thank you Joe, for sharing your expertise on the subject and sharing your tips on how to bake an excellent pizza in a home oven! So jealous, pizza looks amazing! 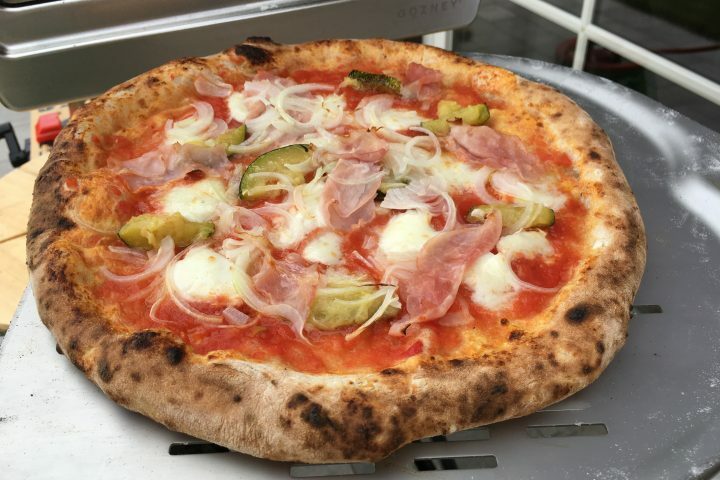 Very happy with the results too, although we have had fun with our small indoor bestron pizza oven for many years and the pizza’s were tasty, being able to go to higher temps means getting so much closer to the authentic pizza we know and love when visiting Italy. Really interested to see what you do with it. Bought one last year but find that setting it up takes ages and puts me off (lazy) also mine doesn’t stay at high temp for long – it’s wood burning. I love your ideas, ethos and bread recipes so hope you will help me get the best out of my pizza oven as well. There must be loads of possibilities! Thanks for your comment. Because this oven comes with both gas and wood burning options, we (until now) have only used the gas option for reasons that indeed also have to do with ‘quick and easy’, we do not yet have experience with the wood burning side of it. Hope to try it out too soon. 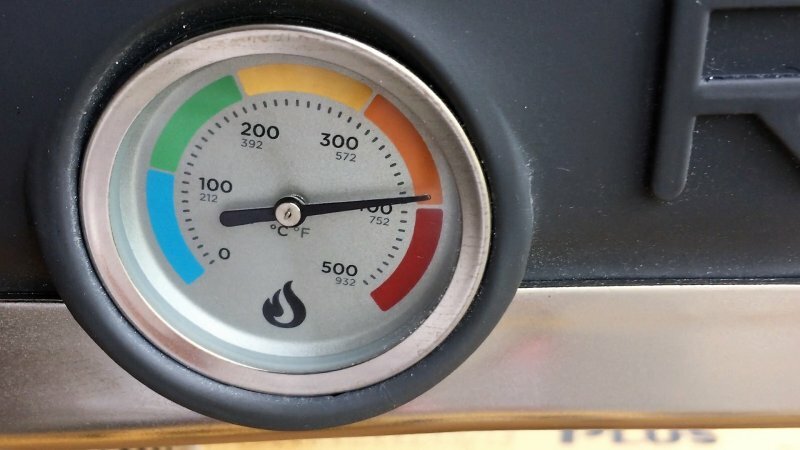 But we understood from a group of Roccbox users that 80% of them use the gas burner, because it is so much easier to regulate / control the heat. We will be posting updates as we bake and learn! does pizza cooked using gas burning option in roccbox cause harm to our health? no harm or little harm? We think the gas burning option is a ‘cleaner’ choice than burning wood (fine dust), but you can best judge for yourself if using such a device would be harmful to your health in case of challenges with your airways for instance.